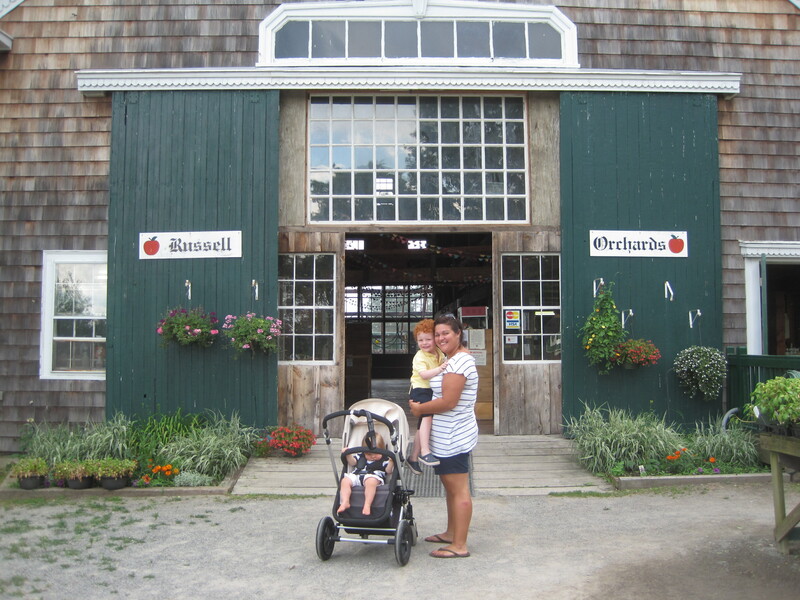 Russell Orchards is a wonderful destination. 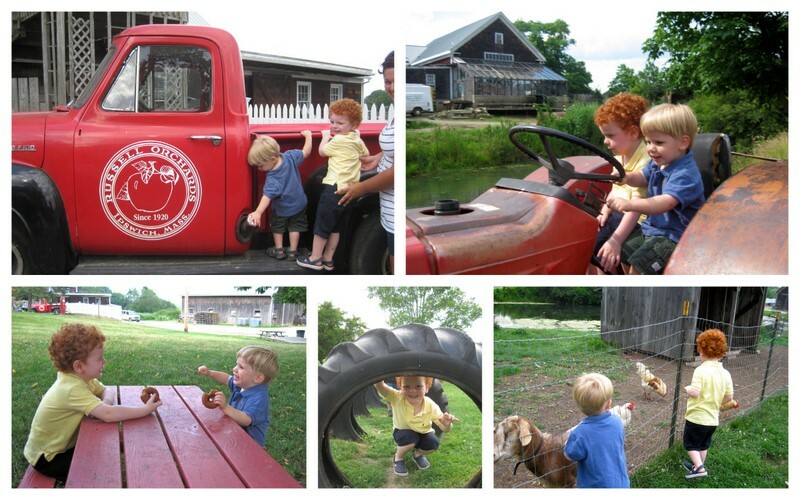 It has yummy cider donuts and a little barnyard with animals kids enjoy seeing. 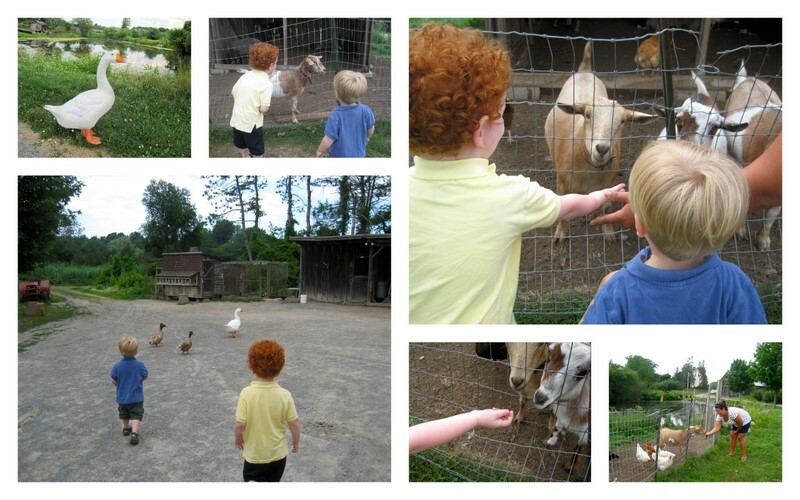 We went to Russell Orchards with friends. This is Will, he is a year older and a head taller than Cole, and he is one of the nicest little boys in the world. 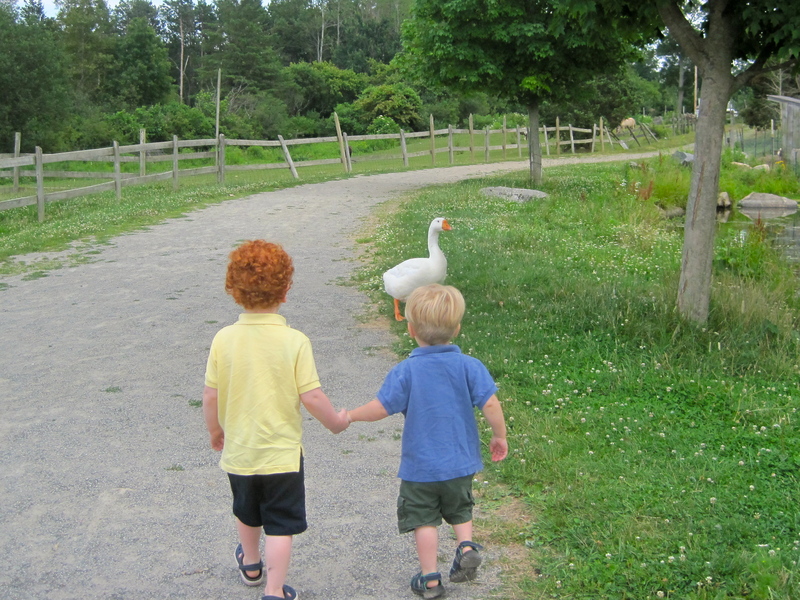 Will and Cole enjoyed interacting with all kinds of animals . . . But even sweeter was the time spent together . . . Thank you friends, for a lovely Animal Day!